A series of first-ever seminars will be presented at this year’s DEMA Show in Las Vegas to help dive businesses embrace the fundamental changes impacting the industry right now. Leaders across all segments of the diving industry, from the dive operations to manufacturers, to resorts to online booking agents, will benefit from this #BlueGreen seminar series. Sponsored by Fourth Element, Stream2Sea, Lembeh Resort, and [email protected], the seminars will explain the key consumer and business trends dive pros need to know about to thrive, and learn how an ocean-conscious approach will address these major changes, and unlock a myriad of untapped scalable opportunities. 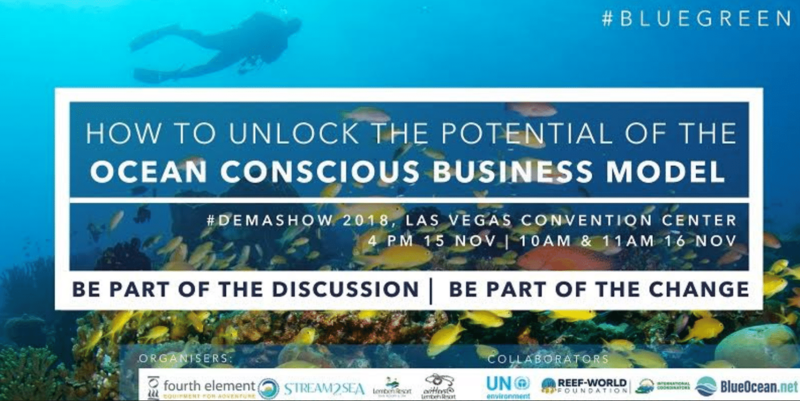 During the seminars, presented by Blue Ocean Network and The Reef-World Foundation, attendees will learn how to make simple operational shifts using a proven and measurable approach called “Green Fins.” This is the first time that attendees will catch a glimpse of the Green Fins approach at DEMA Show. With a 15-year proven track record, Green Fins is a free system already adopted by 600-plus dive operators. Green Fins is a UN Environment initiative managed by the Reef-World Foundation, an NGO tasked with implementing the Green Fins approach at dive operations worldwide. Harvey will give attendees behind-the-scenes insights into her ten years working with dive operations. Attendees will dive into the inner workings of Green Fins and be introduced to several dive operators (some of whom are DEMA Exhibitors) who are already embracing Green Fins’ proven methods. Attendees will also learn what stages their competitors have achieved along the pathway and get real life examples of what these operators are doing to unlock the business potential inherent in the Green Fins approach. 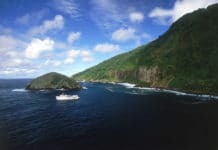 Additionally, Blue Ocean Network co-Founder Laurie Wilson will discuss the ocean-conscious “blue” business model that is a natural outcome of the Green Fins approach. Attendees will learn about the consumer trends driving the change, and how operators are attracting the fastest-growing consumer market ready to buy diving experiences and so much more. Attendees will receive a free Green Fins Toolkit to get started, access to a professional network of operators already on the pathway, and learn more about industry initiatives like #Mission2020 that are inspiring more industry stakeholders to hop on the sustainable ocean pathway. Can’t make it? Signing up anyway will get you the same support tools for the system adopted by 600-plus operators worldwide. Reserve your spot here.